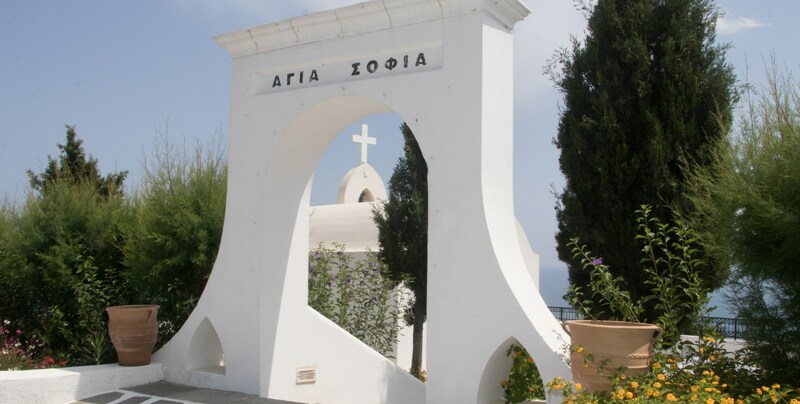 Rhodes ceremony venue St Sofia in Kalithea is the islands Mama Mia style venue. 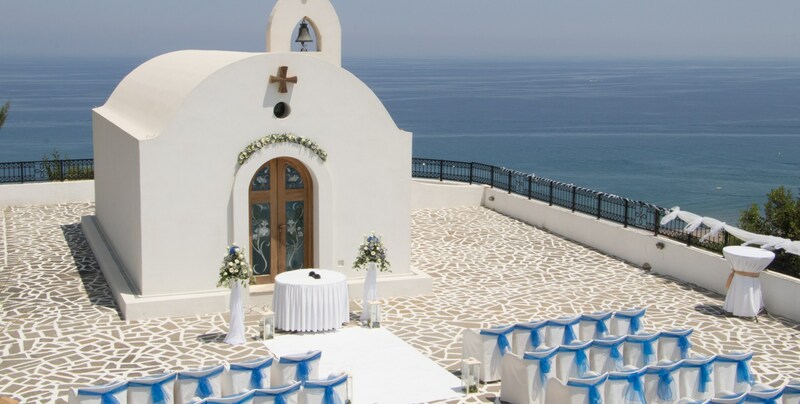 The chapel is perched high on top of a hill with breathtaking views of the coastline. 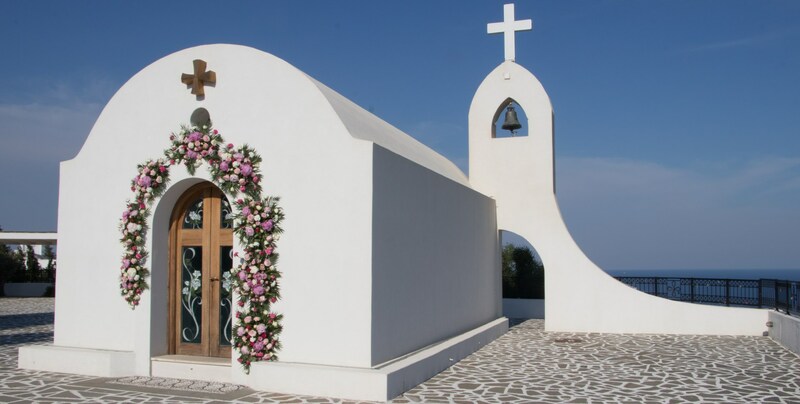 The chapel is in the grounds of the Esperos Village Hotel, however it is completely private in a quiet location. 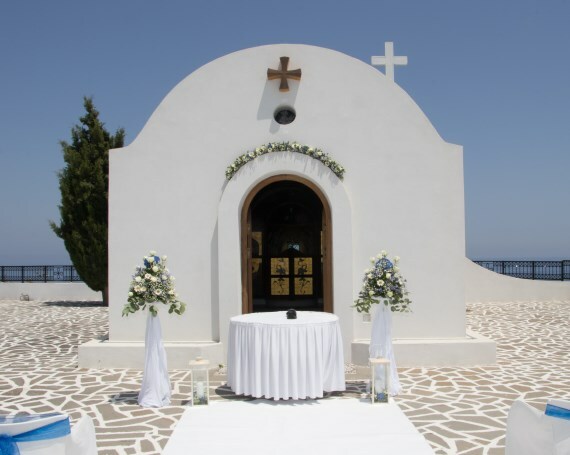 The wedding ceremony is held outside of the chapel with the amazing views as the backdrop for all your photographs. Some seating is offered for guests which is included in the hire fees of the location. 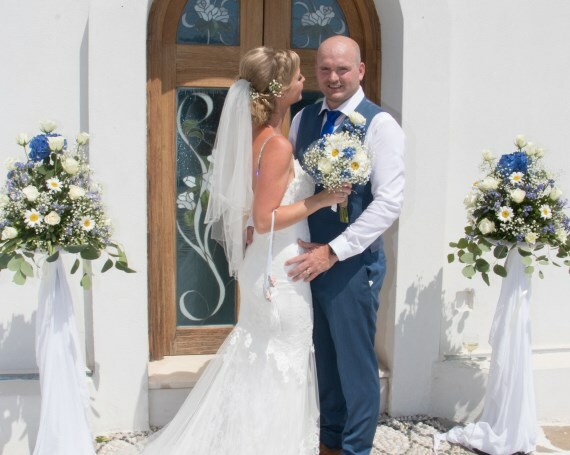 We can organise a champagne reception at the chapel, or a full reception in the Panorama Restaurant within the hotel grounds or nearby at the sister hotel Ammades. Ceremonies are held on weekdays, in the afternoon and it is requested that only biodegradable confetti be used. You will sign the register on the wedding day, during the ceremony. An additional set up and location fee applies to this venue.